On January 9, 2005, I took a huge leap. I drove over to the house of a guy I’d never met. Together we boarded a ferry and headed to Bainbridge Island. Wine tasting, several hours of getting to know each other and one dinner later, I was hooked! Thus began our grand adventure. 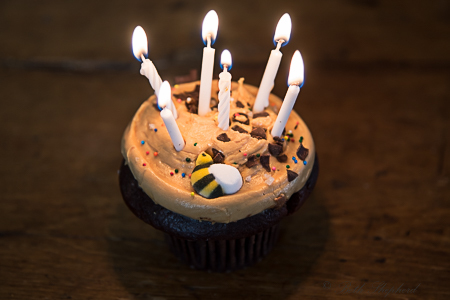 Here we are–eleven years, many journeys and one adopted daughter–on the anniversary of our first date, the beginning of a new year and a LEAP YEAR at that. Perfect timing for a BIG announcement. I’m getting my OWN WEBSITE! Yep. I’m hitting the virtual road with a new blog and website. How cool is that? Official announcement once my site is up and running. Stay tuned! 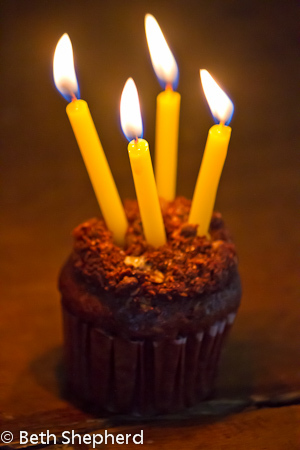 Happy Anniversary to me and the Mr.
Here’s to a year of leaps and adventures! And a shout out to Wee One Photography for the great photos! Seven years ago, Big Papa and I got married. This fact, in and of itself, is truly something to marvel at. Because–we nearly didn’t. Our first wedding venue cancelled six months prior to the wedding. Next, a month before the wedding, the B&B where we planned to spend our wedding night also cancelled, telling us they had decided to close their business. And then, the trifecta of all trifectas–our officiate cancelled a mere three hours before we were scheduled to say “I do.” It certainly felt like the world was conspiring against us. But sometimes the universe works in mysterious ways. As luck would have it, the bad news was delivered while I sat in Eleven Winery’s Bainbridge Island tasting room. The winemaker’s wife, Sarah, was working that day, and she was a member of IslandMoms, an online community for Bainbridge Island moms. Quickly she posted: URGENT! Officiate needed. Fate was on our side, and we received a response to our post. The respondent was a new member to IslandMoms and had been reading through posts as she soaked her feet following a long, tiring day of political canvassing. 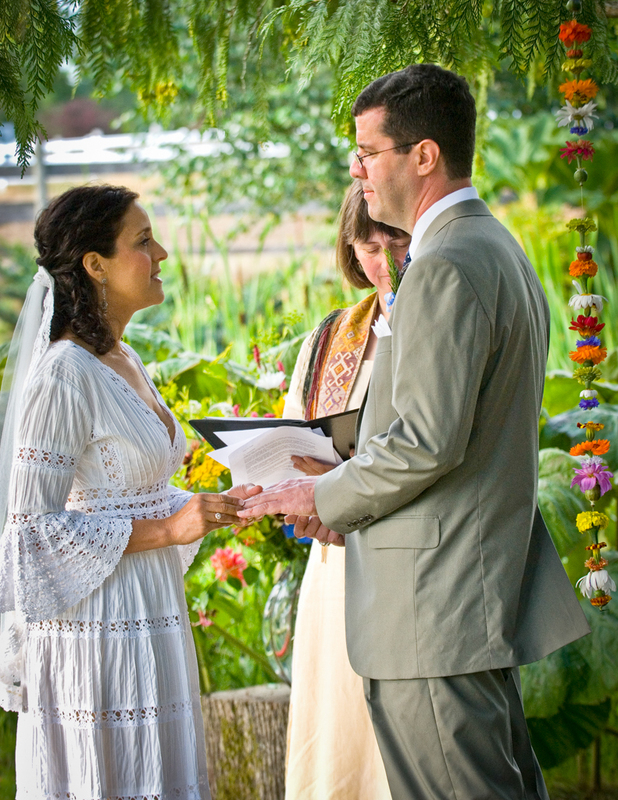 She had performed only one wedding before ours, for a co-worker, but she was licensed as a minister with the Universal Life Church. She could marry us! With less than thirty minutes to spare, Debbie, our new officiate magically appeared. Forty-eight close friends and family members were able to watch us become husband and wife. Plus one additional, uninvited, guest. 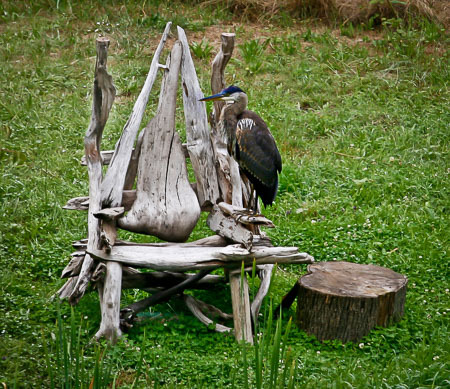 Just as we began our ceremony, a young blue heron flew in and seated himself in a log chair nearby. He sat there until we kissed and then he flew away. What an auspicious guest. 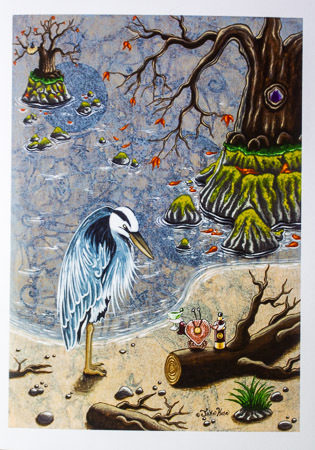 In Native American lore, the heron embodies wisdom and patience. Supremely capable at fishing and hunting, the Iroquois felt that the sight of one before a hunt was a very good omen for success. Whether he flew in as a representative of those dear to us who weren’t able to attend our wedding, or the spirit of loved ones who were no longer with us, I will forever interpret his presence as a good omen for the success of our marriage. 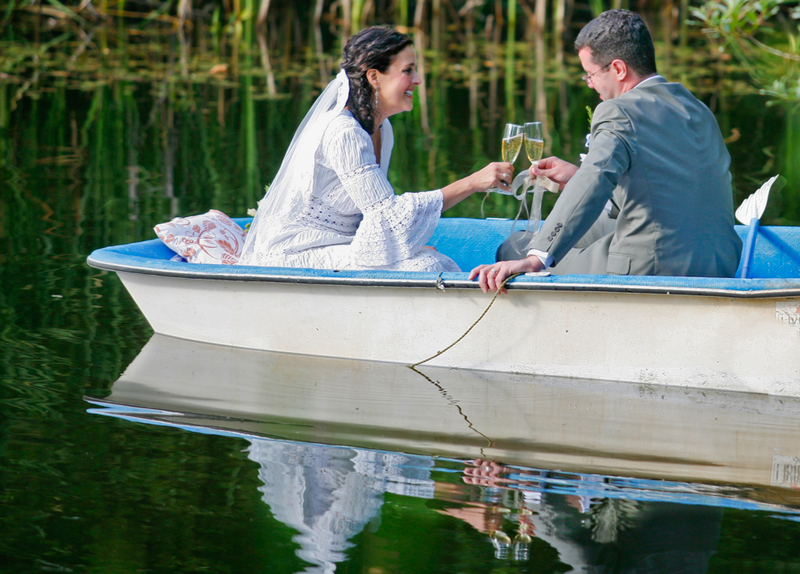 After the ceremony, we spent our first minutes together floating in a boat in the pond. 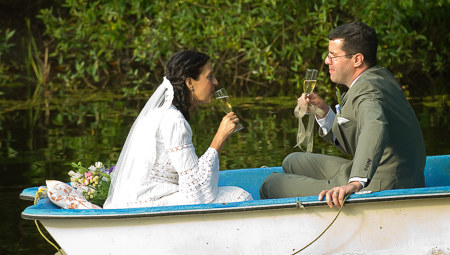 We sipped champagne and toasted our good fortune–after all that we were married. Even though our rowboat was short one oar, we didn’t have a care in the world. –And a heartfelt thank you to Elegant Garden Design for the lovely heron who will grace our garden…and for the touching gift tucked in with him. Eight years ago on 1-9-05, Seattle lay under a light blanket of snow and I got into my car and drove the mile between my apartment and Big Papa’s house for our first get-together. Over the previous week, we’d exchanged a few emails after meeting on an online dating site, but this was our first official, in-person date. 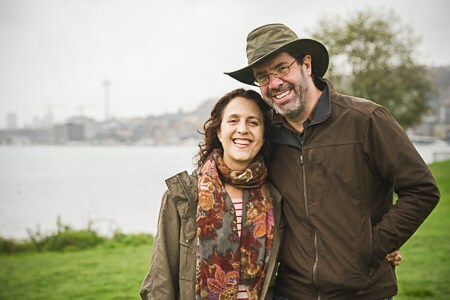 Our plan was to take the ferry to Bainbridge Island and go wine tasting at the island’s sole winery (how times have changed). His house number: 1905. Yes, you read that right. Our first date matched the number on his (now our) house. Thankfully, neither of us changed our mind. We took the proverbial plunge and headed across Puget Sound on our first trip together. That trip led to another and another and another. When I reminisce about that day, I remember exactly how I felt and how I couldn’t envision that I might live the life I have now, eight years later. Big Papa and I have traveled far together, literally and metaphorically. 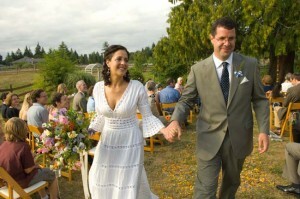 We’ve been to nearby destinations like Walla Walla, Willamette Valley and the San Juan Islands. We’ve traveled to farther flung locales too: China and Tibet, Canada, California, Hawaii and Mexico. We’ve traveled cross-country on numerous occasions to visit with family. On one trip we moved his mother into a memory care facility in Pittsburgh and on another (infamous) trip we flew my father from Ocala, Florida to live near us in Seattle. And, most memorably, we’ve traveled half-way around the world four times (five for me) on our journey to adopt, before finally coming home with our daughter. There have been a few trips I wish we hadn’t had to make, but just as many I can’t imagine not having taken. And I hope there’s more travel in our future (I dream of much more, but I have a bigger wanderlust than Big Papa). 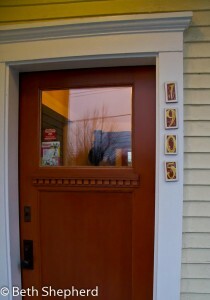 Yet for all the places we’ve been and all the places I want to go, there is nothing like coming home and pulling up to our little yellow house with its number, 1905, trailing down our door jamb. What a difference five years can make in a life. On 1-9-05 I was a single girl. I’d been single a long time. On this cold and unusually snowy Seattle Sunday, my first date with Big Papa was on the calendar. 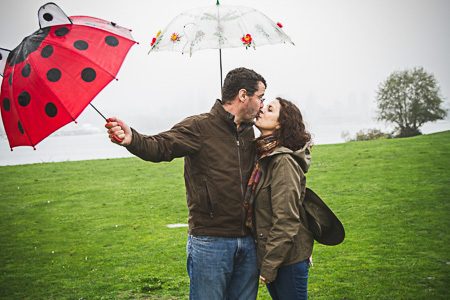 We’d arranged for me to pick him up and drive to the Bainbridge Island Ferry terminal where we’d take the ferry over to the island, do a bit of wine tasting at the Bainbridge Island Winery and see if there was any chemistry between us. There was and five years later, his home is now our home. It is an amazing irony that our home number is 1905, the same numbers as the date we first met. I’d like to think we were meant to be. In this short period of time, we’ve been through a lot. We’ve enjoyed many wonderful, amazing experiences together along with our share of trials and tribulations. 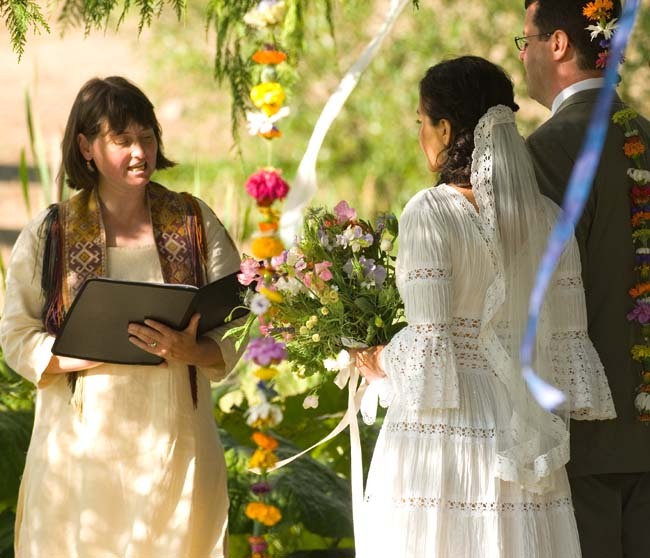 Becoming a twosome past forty-something (though first marriages for us both) brings a different set of adjustments in making a life together than getting hitched in one’s twenties. Big Papa now sports a beard. My hair is longer. We’ve both got more lines in our faces. We moved my father from Florida to Seattle and he lives in nearby in an assisted living facility (having him here has brought its own set of challenges); two beloved cats have passed away (Joel’s Cleo and my Madison). We’re on the path to adopt a child. Our tiny, old (circa 1898) house, lovingly known as ‘The Urban Cabin,’ has undergone some changes recently too. 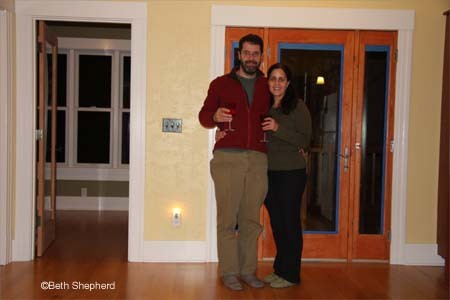 We added 150 square feet to the back of the house, moved the laundry upstairs (it used to be in our dirt floor basement), refaced the kitchen cabinets and fir floors, put on a new deck and opened up the back with lots of windows and light. It’s the same house, but with its face lift, it sure feels different. This afternoon the Urban Cabin will fill with friends to celebrate two occasions, our five years together and our “new and improved” digs. As I look around, my world has changed in so many remarkable ways, both literally and figuratively. No matter how tough times have gotten in the past five years, I count my blessings to be where I am, in the Urban Cabin with Big Papa by my side. Being together makes this house a home and adds riches beyond words to both our lives.